Look for the Add a comment box below each journal entry. 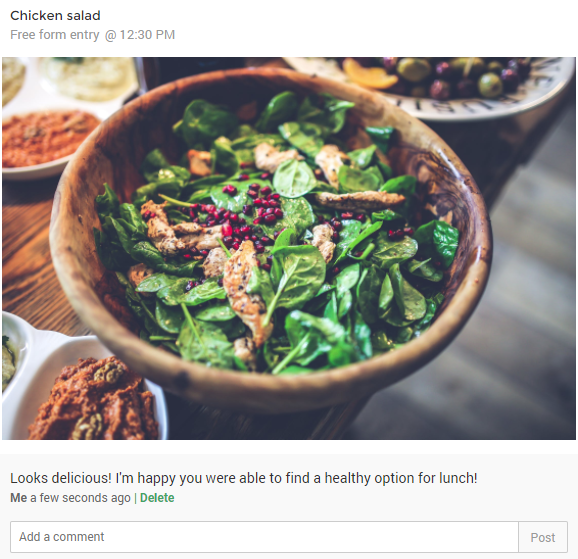 In the Food + Mood Journal, you can also leave comments even if no entries are available. Your clients can also reply to comments left in their journals. By default, the comment box will not be visible to them until you have left a comment. And also Instant Alerts if enabled. Check out our help article on enabling Instant Alerts for desktop and mobile devices.